Iran frees four U.S. prisoners, including Washington Post reporter Jason Rezaian. 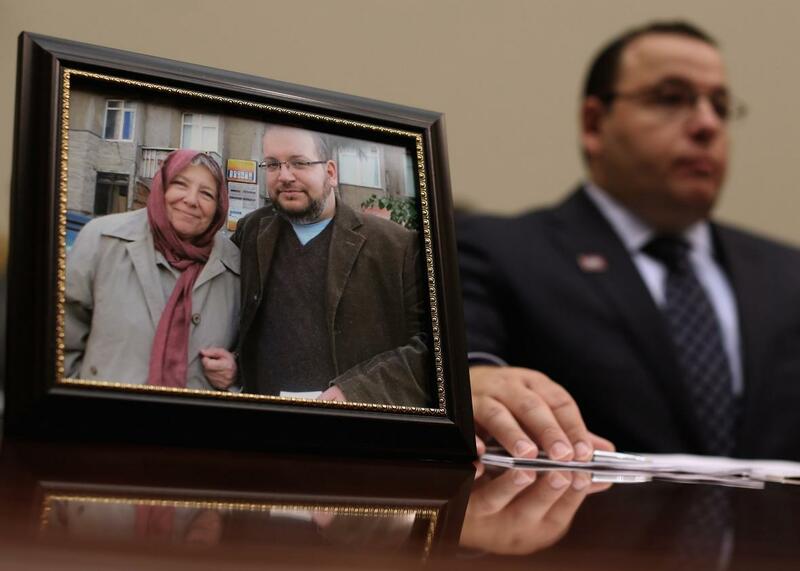 Ali Rezaian, brother of Washington Post Tehran Bureau Chief Jason Rezaian, talks about his brother’s imprisonment in Iran while testifying before the House Foreign Affairs Committee in the Rayburn House Office Building on Capitol Hill on June 2, 2015 in Washington, D.C.
Iran released four U.S. citizens it had held as prisoners for years, including Washington Post reporter Jason Rezaian, as part of a swap deal, according to Iranian news media. “Based on an approval of the Supreme National Security Council (SNSC) and the general interests of the Islamic Republic, four Iranian prisoners with dual-nationality were freed today within the framework of a prisoner swap deal,” noted a statement by the Tehran prosecutor. The semiofficial Fars news agency identified Rezaian, who was born in California, among the four being released. The other three are former marine Amir Hekmat of Michigan, who was detained in August 2011; pastor Saeed Abedini of Idaho, who was detained in 2012; and Nosratollah Khosrawi, whose detention had not been previously announced. Initial reports that claimed Siamak Namazi, an oil company executive who was arrested in October, was the fourth inmate freed were incorrect, according to Fars. Reports also claim the U.S. agreed to free seven Iranian Americans held for sanctions-related charges in exchange, notes Iran’s Tasnim News Agency. Washington had yet to confirm the news.